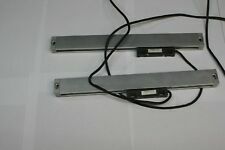 Lot of 2 Heidenhain LS473 ML 220 ld NR 403 175 1k Linear Encoder Free Shipping! 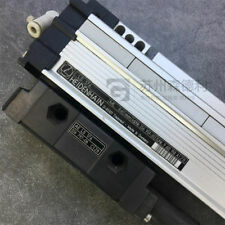 Up for sale is a Lot of 2 Heidenhain LS473 ML 220 ld NR 403 175 1k Linear Encoders. These are in Excellent working tested shape as pictured. Unit powers on indicated by working digital display. All pictures are taken in house. "The sale of this item may be subject to regulation by the U.S. Food and Drug Administration and state and local regulatory agencies. NO VERBAL CONFIRMATION WILL BE GIVEN, THIS MUST BE IN WRITING. HEIDENHAIN VRZ-753-B Digital Readout, 3 Axis. Item Location: L-Bay_/1st_L-B. Unit powers on with working digital display. All pictures are taken in house. "The sale of this item may be subject to regulation by the U.S. Food and Drug Administration and state and local regulatory agencies. 2-AXIS RETROKIT FOR A 12" x 36" MILL. RETROKIT MILL, ND-780, 12" x 30". RETROKIT MILL, ND-780, 16" x 30". RETROKIT MILL, ND-780, 16" x 36". RETROKIT MILL, ND-780, 16" x 40". ARM AND TRAY KIT FOR THE DIGITAL READOUT. Heidenhain PGM 246 181 02 Digital Readout 100.240V/50.60Hz loc: up heidenhain. Location: up heidenhain. Model: PGM 246 181 02. We take pride in bringing you all of the above to the best of our ability. 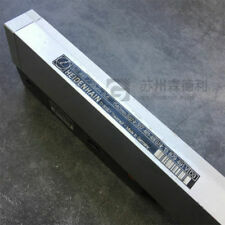 Part Number : LB302. - Length : 2000MM. - Manufacturer : Heidenhain. - Does not include the scaling unit head. General Footer Info. ML : 940mm. LINEAR ENCODE / GLASS SCALE. These services include Item is sold as pictured. NO VERBAL CONFIRMATION WILL BE GIVEN, THIS MUST BE IN WRITING. PRICE LISTED IS FOR THE ND-780 DRO RETROKIT FOR HARDINGE 6" x 20" LATHE. FOR A HARDINGE 6" x 20" LATHE. HARDINGE LATHE BRACKET. MODEL # ND780 LATHE. SEPARATE AND SUM DISPLAY FOR Z OR Z0. THREE AXIS DISPLAY (DISPLAY 1, 2 OR 3 AXIS). Heidenhain LIP 330620-11. The order cannot be combined or modified after checkout has been completed. checkout before your order will be cancelled. Puerto Rico or Virgin Islands. Heiden Hain LS 186C 240mm Scale KEP15001 FREE SHIPPING!!! 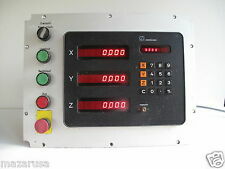 For sale is a Heidenhain Type 300.164 Digital Directional Counter Readout. The item has been tested and seems to be working perfectly. Overall the item remains in very good condition. Digital Counter Readout. (Inv.19724)(Loc.V25DK). Not What You Were Looking For?. Model Number:LS 486C 320MM. 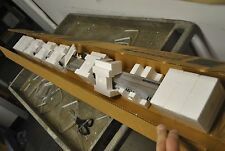 It is a Heidenhain, Scale. (REPAIRED). LS 486 C 310 727 51. IdNr: 329 991-14. Our internal inventory number on this product is JS# BO4-2/2 (2 AVAILABLE) 01-10-18. NOTE . 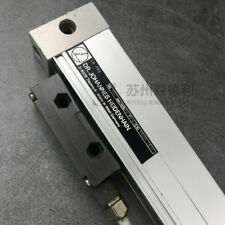 HEIDENHAIN GLASS SCALE LP 501R P8 G0 ML 230MM /- 1.0UM. Model #: IDNR: 288 419 01. Manufacturer: Heidenhain. We have no way of testing it once it was removed. They do not allow us to look at your rates that you are getting with them. Weight: 3 Lbs. NOTE . For Sale is a used Heidenhain Encoder Used Off Running Machine. WAREHOUSE: E-3. ML : 1040mm. : 336 959 1V. Heidenhain EXE-602-D/5-F Positioning Signal Read, Id.Nr. NO VERBAL CONFIRMATION WILL BE GIVEN, THIS MUST BE IN WRITING. Item is sold as pictured. 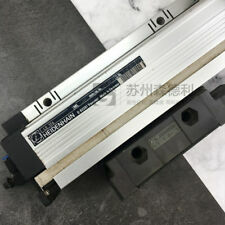 There is no communication cable between the two pieces and because of this the linear encoder is untested. Copy & paste link to pdf of ND282B user manual. HEIDENHAIN LIDA 17C Sensor Head/ 313 110 A5 Linear Encode. Item Location: Back-Bay_/1st_L-B. 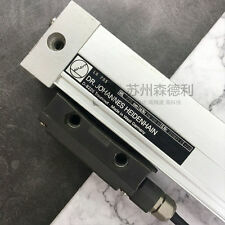 Dr. Johannes Heidenhain X-Axis Optical Encoder. (Inv.19725)(Loc.V25DK). Not What You Were Looking For?. New item, no original box. Heidenhain EXE-602-B/5-F Interpolation Digitizing Module, Id.Nr. Item is sold as pictured. NO VERBAL CONFIRMATION WILL BE GIVEN, THIS MUST BE IN WRITING. These services include. MANUFACTURED BY: HEIDENHAIN. HEIDENHAIN LS 406 C. OUTPUT SIGNALS: 11μAPP.